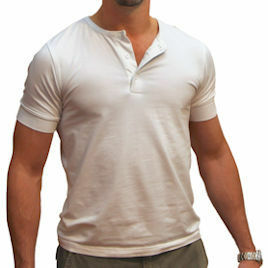 Having a hard time finding an original vintage Henley like the Driver's? Look no further! Magnoli has done it again and created a perfect (and comfortable) replica. I love the snug fit and fine cotton. If you're looking to finish your costume, I would recommend this shirt. You can never have too many henleys.